Now available for your mobile device! 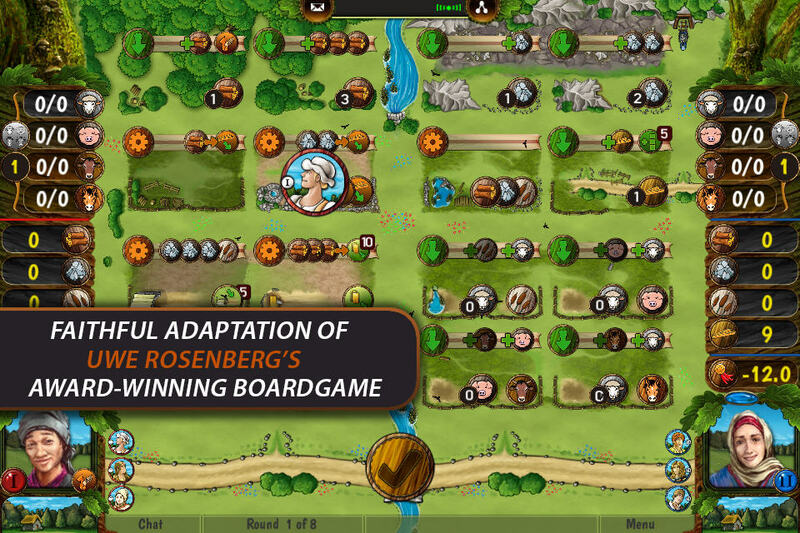 In the long-awaited digital adaptation of Uwe Rosenberg’s award-winning Agricola: All Creatures Big and Small, you will grow a farm from its simple beginnings with a hut and some fields. You send your workers to the village market to barter for goods and livestock. 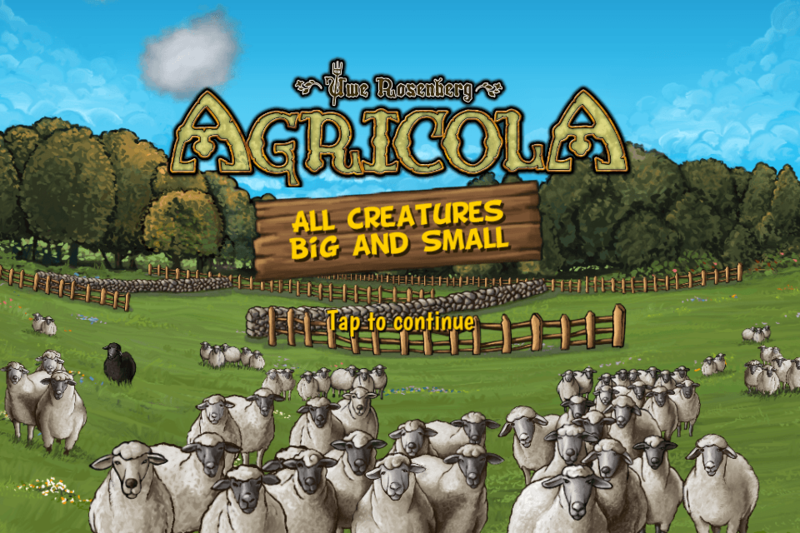 Breed different animals and grow your farm in every turn. 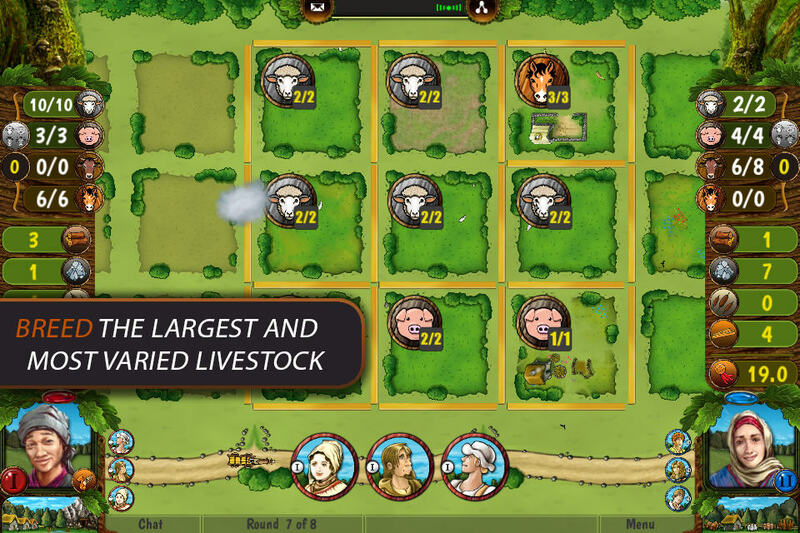 With your ever growing animal population and many special buildings you will compete against your neighbouring farmer. You only have 3 workers in each of the 8 rounds – make your decisions count! 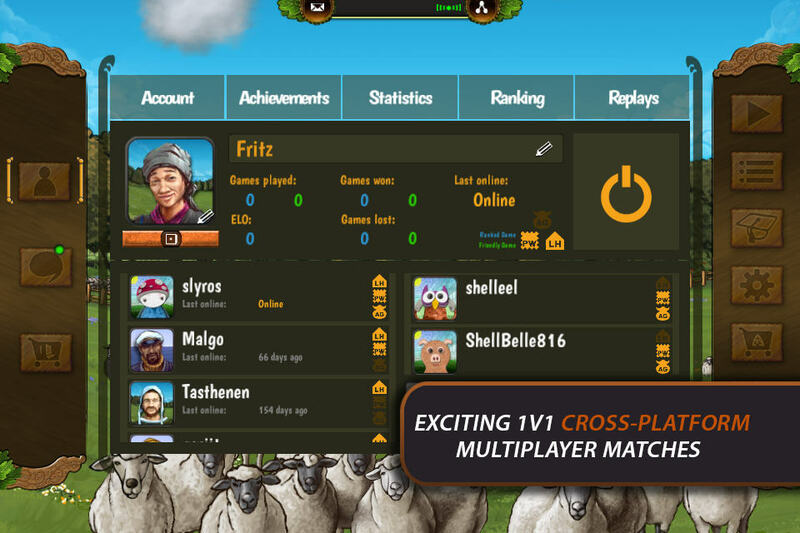 Play against different computer opponents or claim your plot in the world wide highscore and become a strategy game legend yourself. Use the Playback feature to review your best games and learn new tricks from the pros. Stay on your toes with challenging AI.